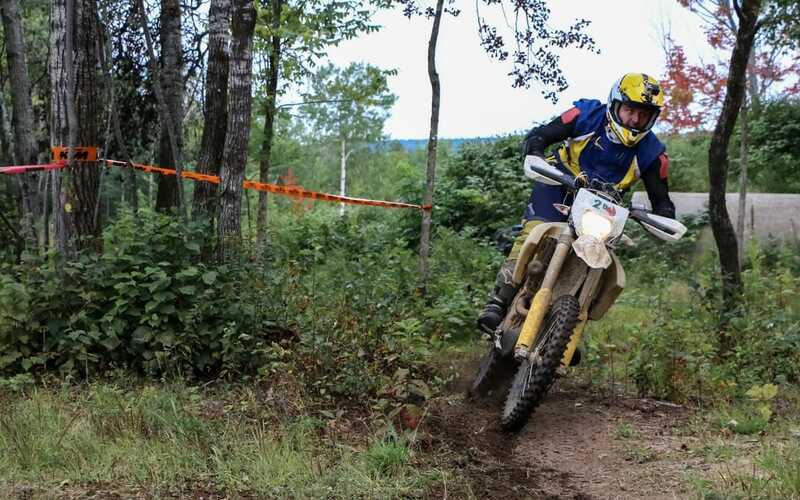 If for some the idea of riding nearly 300 kilometres of trail per day for two or three consecutive days would seem an ordeal, but for dual-purpose and enduro riders it is rather a rare opportunity to test their abilities and their motorcycles to the fullest. This is probably why the Crush Canada rally has been so popular for the last five years. 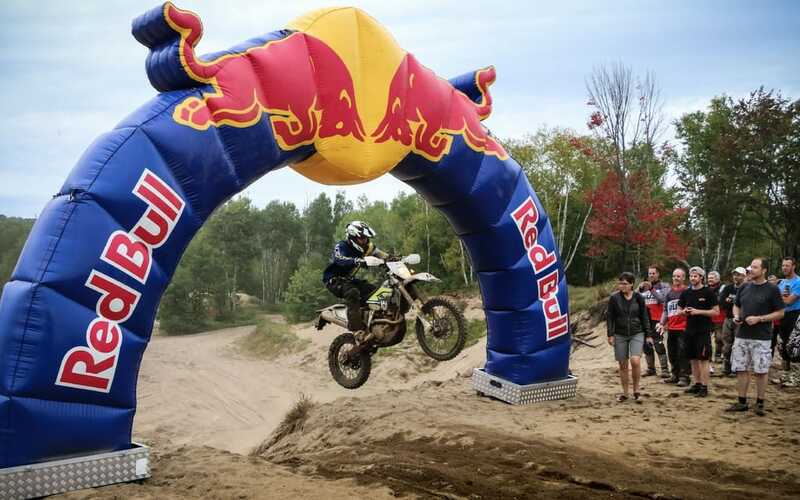 This extreme event is held in and around the municipality of La Tuque, Quebec, and sees some 200 riders invade the surrounding woods of the largest little town in the province. LaTuque is basically a 25,000 square kilometre territory occupied by only 11,000 residents. A paper mill is the main employer in town and leaves a large network of forest roads for riders’ enjoyment after the harvesting is done. Participants mostly come to the rally to have fun and with three levels of difficulty, panoramic, extreme, and pro, everyone can find a fitting challenge. As an enduro buff, I have been participating from the very beginning, and every year I see more new faces. Dual-purpose bike owners who dare to ride real trails are a rare breed and rallies of this kind are scarce so they tend to attract them all. That is why the Crush rally is so special. 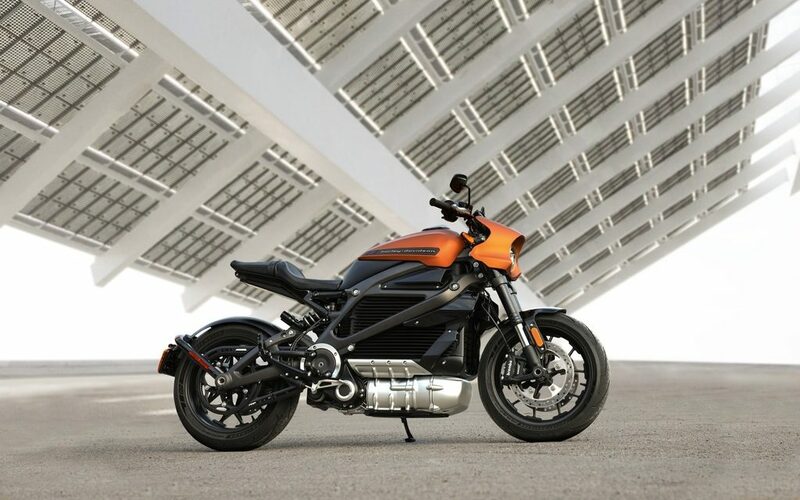 It is the opportunity to meet other enthusiasts and get a good dose of riding experience. How does it work? Both panoramic and extreme categories last two days with nearly 300 kilometres ridden per day. The panoramic ride is an opportunity for beginners to familiarize themselves with riding on dirt roads and allows them to also learn to use the famous road book which is their only guide for the whole trip. In fact, as in all professional rallies, fans attending the crush will have to literally roll through, turn by turn, a narrow roll of paper measuring about four metres long. On this road book, they will find a step-by-step description of the rally route. A real challenge at first that becomes easier as the day passes. Seasoned riders can choose the extreme level rally route where they will find harder trails and challenges than in the panoramic route but without very hard or very muddy sections. That’s the category I had chosen this year when I learned I would have to do the crush on a brand new KTM 1190 R Adventure. As the pro level route I did last year on a 500 EXC lasts for three days and has deep muddy sections as well as many “special tests,” I felt that the tall and heavy 1190 R would only be a sadomasochistic experience I wanted to avoid. Spending part of my day pushing my bike out of deep mud pools wasn’t in my plans. That decision turned out to be a very wise one because the area had been showered with more than 75 millimetres of rain on the day that preceded our two-day rally start. 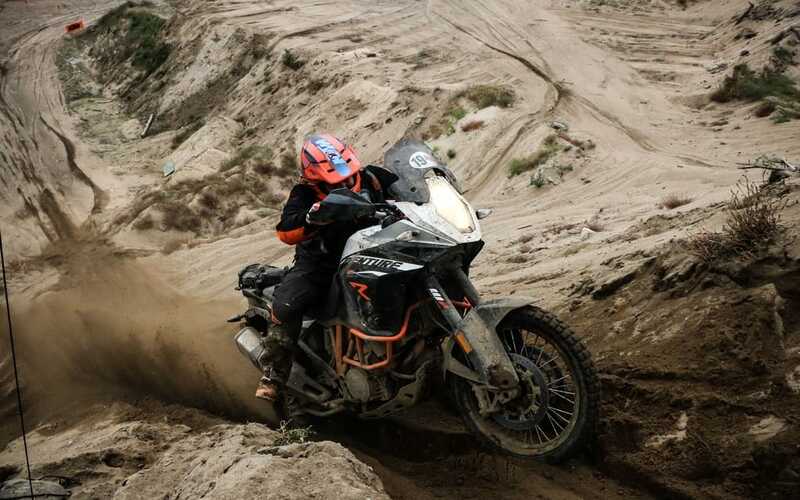 But if you have the right bike (250 and 500 cc are ideal), are experienced enough in trail riding, and have time to spend three consecutive days riding, the pro route is an even more intense experience. When I arrived in the pits on the evening before the event, I was given my team number stickers and a general explanation of the next day’s schedule. The rest of the evening was spent talking shop with other participants in the Gîte Martineau motel parking lot. The next morning, I found myself surrounded by 200 excited men and women just waiting to start ripping the surrounding trails. At the pit meeting where organizer Marc Fontaine gave us a few security recommendations as well as last minute details on the day up ahead, he started giving the go signal to all teams in 30-second increments. As soon as you start, you start rolling the road book. Every turn is written in a succession of little black boxes with arrows indicating which direction to take at every intersection. The challenge is to be able to ride the trails all day but mostly to constantly check your mileage so not to miss a turn. Time is irrelevant as the winning team will be the one with the closest to real mileage of the day. On my 1190 R, I had adjusted the levers in order to be comfortable while riding in a standing position as this was pretty much the day’s program. In the first hour of the rally, we went through countless puddles of water, cantaloupe sized rocks, sand beds and steep climbs, and that was just the start. Each year, the organizer, his volunteer assistants, and a few city employees work together to draw a new route that will be safe and offer a good variety of terrain. They will also draw a couple of tougher sections called special tests for the pro level participants. All these combined efforts make this rally a very different experience than going riding around the cottage with friends. Here, there are no sign posts, no markings, no ribbons indicating turns, nothing at all. You need to focus on the road book to get from A to B and then C until you complete the route. Thanks to the emergency SPOT devices, each team is monitored by volunteers who track their movements through a live feed on a computer screen. Thanks to this little wonderful piece of technology each team can report a mechanical failure or an injury and an appropriate help team will be dispatched to the scene quickly. Also, each route is closed by a sweeper rider for mechanical help and a paramedic rides a quad equipped for emergencies. 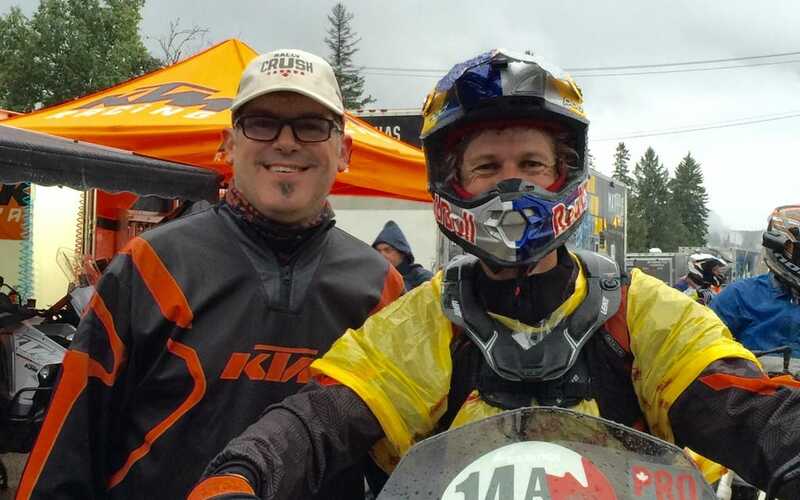 This year again Dakar finalist Patrick Trahan helped several participants out of the famous “Yvon Trail,” a special test section that had become overnight a giant mud bath thanks to heavy rain showers the previous day. Even extreme enduro rider and rally guest Chris Birch had to work very hard to make it out of this trail. Regardless of whether or not they were stuck for a long time, all participants arriving at the pit later on exhibited wide smiles. They looked like a bunch of children coming back to the house after playing in the mud—which is pretty much what they were. There were three all-female teams this year. Even if this isn’t a lot compared to the more than 40 male teams, the women made it out of the trails without major mishaps. Why do they do it? Largely for the same reasons guys do it, to be challenged and to have fun, but also perhaps a bit to prove that it is possible for a female team to ride the same route as the males. 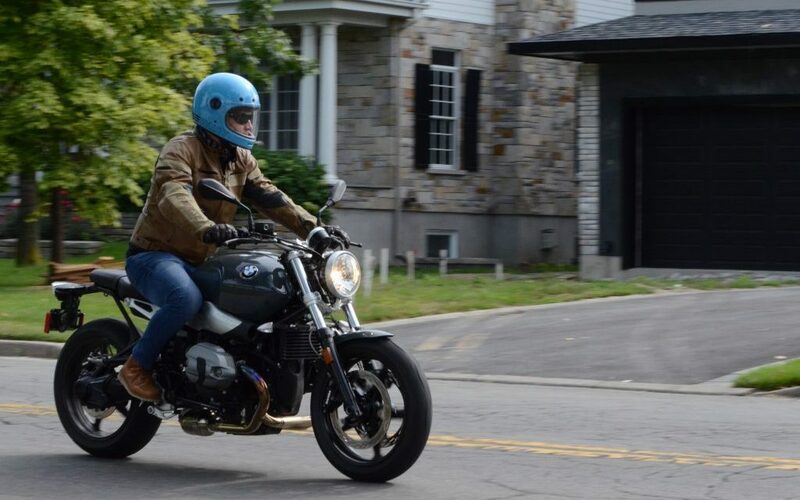 We do see more and more women on street motorcycles but they are fewer in off-road riding. This small group of gals that ride the Crush are really passionate and we could see and feel it all through the weekend. We saw them cheer on, help each other, laugh, and prepare their bikes with enthusiasm just like the guys. Éric Menard: Marc, how would you describe your rally? 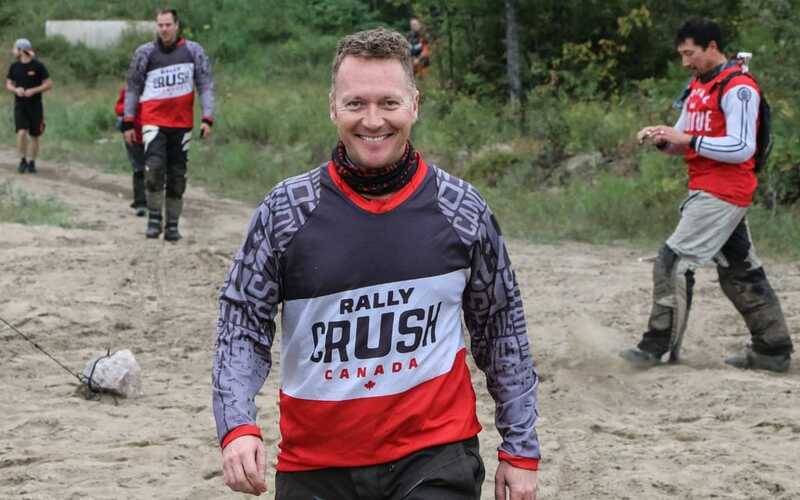 Marc Fontaine: The Crush Canada rally is a navigation rally I started five years ago. 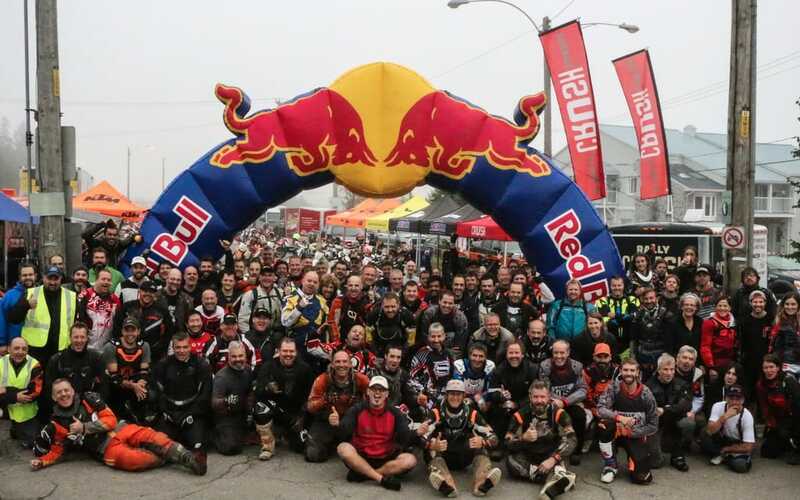 It is a rally based on the major global enduro rallies. It’s not a race. We give each rider a road book where the day’s route is described using pictograms. Teams must follow the road book mileage as accurately as possible to score points. ÉM: How do we win the rally? MF: It is a navigational rally so speed doesn’t count. There are three participants per team and we average their mileage and add the points they win in special test sections. It’s the team that makes the least mistakes that wins. If the mileage of the day is 400 kilometres, those who arrive closest to that mileage and do well in the special section take the lead. ÉM: What is the percentage of error? MF: On about 35 to 40 teams, differences play between two and five kilometers on 300- to 350-kilometre routes. Teams have to be disciplined enough to not go too fast at intersections because if they miss a turn and take one kilometre before realizing it, they add two kilometres to their mileage. ÉM: It must be a lot of work to organize this rally. MF: Yes, preparation takes about a month and a half on the trails in addition to the promo I do before the event. 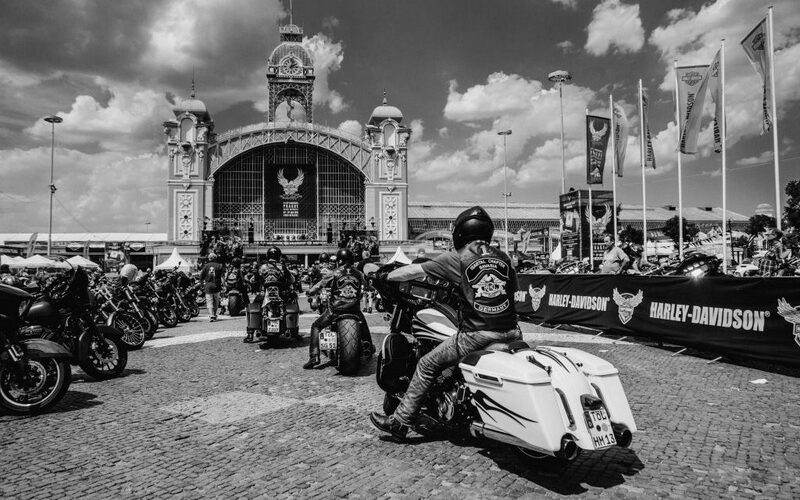 I go to many motorcycle-related events to promote this rally to motorcyclists. As for the routes, I can’t prepare them too much in advance because in LaTuque, the trails are constantly evolving. Here, almost each week, we see new trails opening thanks to loggers who work in these woods. So we have a general idea of the routes a few weeks prior to the rally but we also check our courses again the week before the event to make sure everything is okay. ÉM: Those involved seem to come back every year. Why do they come back? Are they masochists? MF: Haha, maybe a little. People are improving every year, so we improve our routes and we make them more difficult. 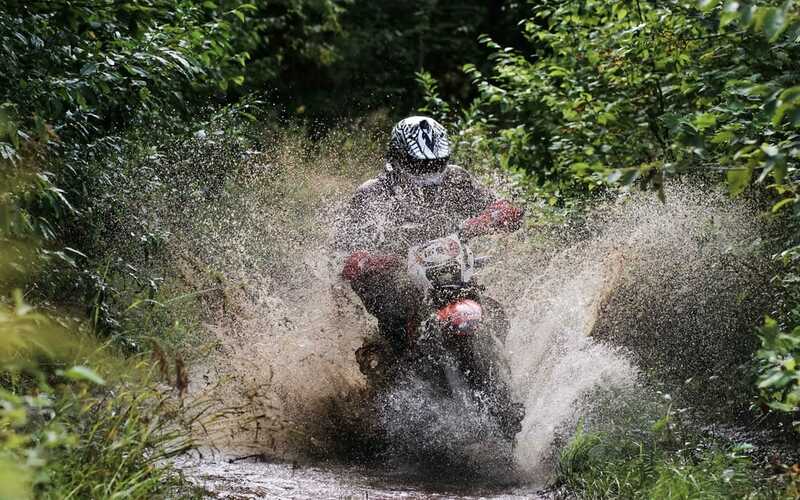 We also offer three levels of difficulty to have a challenge for riders of almost every level. I think what the riders also like is the safety aspect of this rally. We’re the safest rally in North America. First, we have a SPOT device for every team, then we have paramedics who follow the riders, and sweepers who can help in case of mechanical problems. Also, in case of major emergencies, we also have helicopter air lift evacuation thanks to our sponsor Air Medic. It’s quite a safety net for riders. ÉM: It’s a great challenge for many. MF: Yes. It takes place at the end of season so people are in shape. They have been riding all summer and they want a challenge. In addition, if anything goes wrong, they know they will get help quickly. ÉM: You have people from all over coming to your rally? MF: Yes, we have riders from Alberta, the United States, Ontario, New Brunswick, and even a New Zealander this year with Chris Birch, and we also have Quinn Cody of California who attended the rally. ÉM: Why are they all here? MF: They have heard about it on social networks and follow us on our Web site. We also have people who come to see how it works and are thinking of doing a similar event elsewhere. ÉM: What do you tell people who hesitate to do the Crush? MF: We have people who started in the adventure course and who are now in the pro course. In addition, everyone goes at his or her own pace and they can quit and get back to a main road easily if they feel too tired. We have teams of women, people who try to succeed at a higher level each year. Also, we talk a lot about safety so people never hesitate for long. ÉM: It’s become very friendly. We see people of different teams talk to each other as old pals. 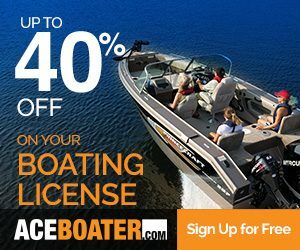 MF: We’re all in love with this sport. Our common passion is enduro and dual purpose bikes and the competition is friendly. Teams even help each other when needed. Friendships are built. I think that is also an important element of the success of the event. Éric Ménard: Did you like the Rally or was it too easy for you? Chris Birch: It was challenging! CB: Yes, especially with a big KTM 1190 R. It was significantly more difficult than I thought it would be. ÉM: Yesterday was the “swampy” day. CB: Yes. For us it was really hard. We had a small problem before we could start so when we arrived at the swamp section, there were already a lot of guys stuck there and the trail was messy so we had to work hard to get out of there! ÉM: I saw you zoom by today. What kind of training do you do to get that fast in the trails? CB: Well to be honest, nothing at this time (laughs). Seriously, I guess I rely on years of experience. My background is trials where I competed for a number of years before switching to normal enduro and then extreme enduros. ÉM: How long have you been doing extreme enduros? CB: I did my first Red Bull Romaniacs in 2007 and haven’t stopped since. ÉM: It seems like there are a lot of guys that come from the trials events. 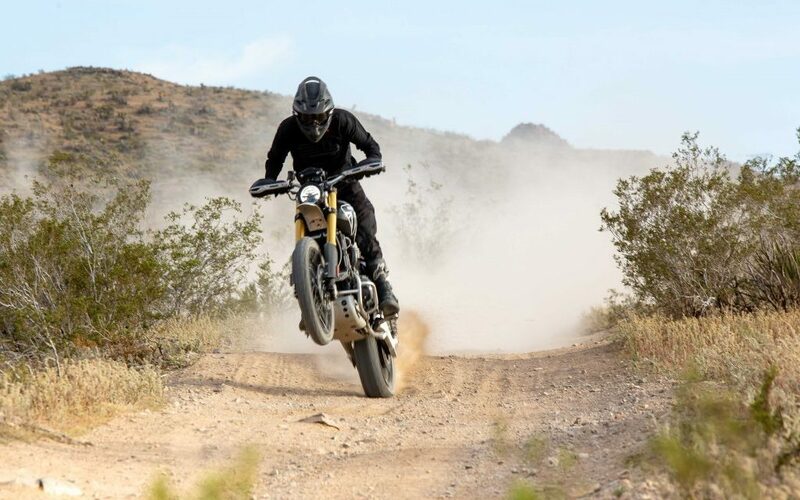 CB: Yes, trials is a really good starting point for any kind of motorcycle riding. There’s a lot of competitors in professional levels that do trials. Even a lot of MotoGP guys do a lot of training on trials. It’s just the base: clutch control, balance, grip, and so on. 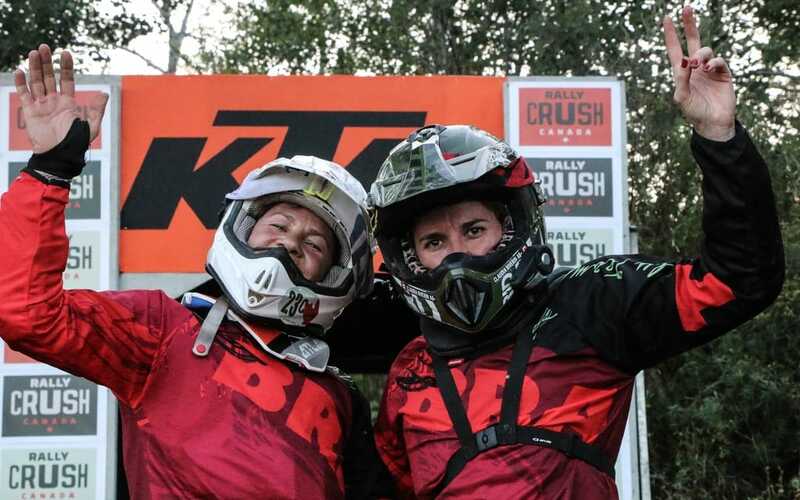 ÉM: Is trials riding big in New Zealand? CB: The biggest thing in New Zealand is trail riding. Recreational riding. We can have a thousand people on an organized trail-riding weekend and 150 people on a competition day. The noncompetitive side is where there’s the most riders. CB: Yes, I come from a motorcycle family. 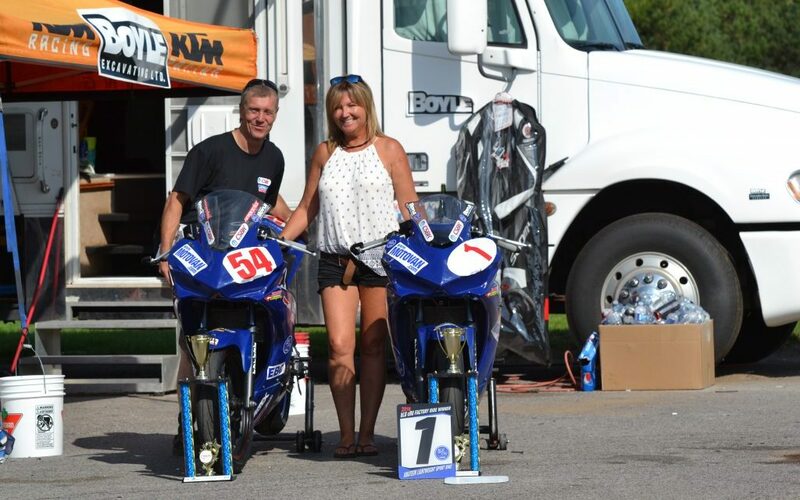 My dad was racing, my mom and sister also ride. ÉM: Are you taking time off from competition to do this event? CB: In terms of racing, I’ve pretty much taken the season off. I wanted to do something else. So I’ve done some really cool trips in Indonesia and in Japan, and I’m here now. ÉM: Always riding off road? 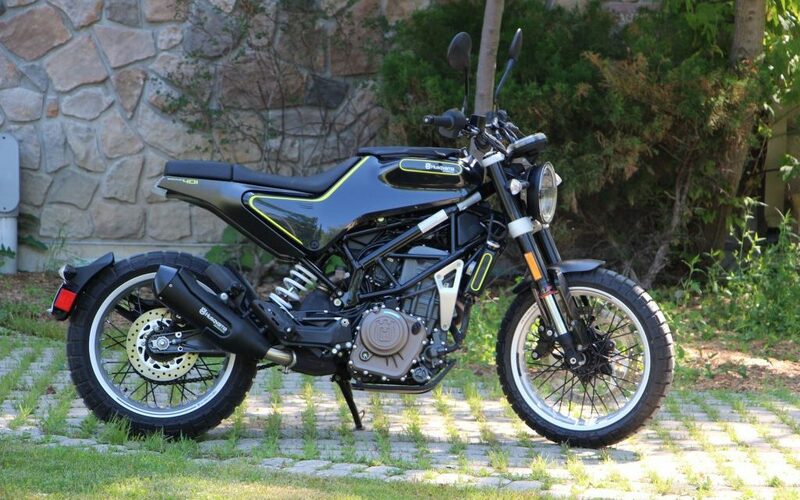 CB: Yes, always and a lot with the big Adventure 1190 R.
ÉM: How long are you in Canada? CB: Four months. My wife, daughter and I will travel a lot while we’re here. We bought a big truck and a camper and we’re doing riding school days all over the country. In our time off, we do mountain biking, trail riding and travel. ÉM: When did you start your school? CB: Pretty much since 2007 as a way to raise funds to go to the European races. It was a sideline to engineering which is my qualification. I got basically fired in 2007 (laughs) because I was taking too much time to race, so I started doing racing and teaching full time since. ÉM: Is the school for everyone? 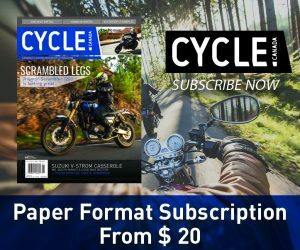 CB: Well not super beginners but many levels of riders. We do enduro 1 and 2 and extreme enduro stuff. ÉM: How do you get to the extreme enduro levels? We see videos of the Romaniacs races and just the start is so completely insane that many riders don’t even make the first mile! CB: It takes a lot of commitment. Which is the reason I took time off this year, because I have a young daughter now. The amount of time and dedication it takes to prepare and do these races takes up a lot of time. ÉM: You have to be very fit also. CB: Oh, yes, and to get that fit you have to be really selfish and other parts of your life suffer, so I try to find other ways this year to spend time with the family and do other things related to motorcycling without me disappearing every day training. ÉM: How did you like our trails here? CB: Really cool. It’s the amount of riding that’s impressive. It’s just trails everywhere and the network is so very well developed. Just coming into LaTuque and seeing dedicated trail for motorbikes. I’ve been riding in 30 countries and I’ve never seen that. Also the local community are so welcoming. I saw an old man today, almost 70, and he was with his chainsaw just cleaning up his bit of the trail. ÉM: How old are you? ÉM: How long do you plan on doing this sport? CB: As much as I can or I guess as long as I want to. I mean, the racing side I still enjoy and rides like these are as much fun. ÉM: What was your hardest hard enduro race? CB: The two hardest were the “Roof of Africa” in 2009 and “Romaniacs” in 2010. The roof was crazy long. The first day was 10 and a half hours of extreme riding. The Romaniacs, it poured with rain the day before day one and they didn’t have time to change anything. So we had to do in the rain what was already hard in the dry. It was brutal. ÉM: That’s where all your trials experience comes in handy. CB: Yes, and the training and just the ability to suffer (laughs). But I take great pride in the fact that the two races I found the hardest, I won both of them!